Deep frying at home can result in some truly delicious (albeit not that healthy!) meals. Nothing compares to friend chicken and French fries when it comes to crunchiness and tenderness. 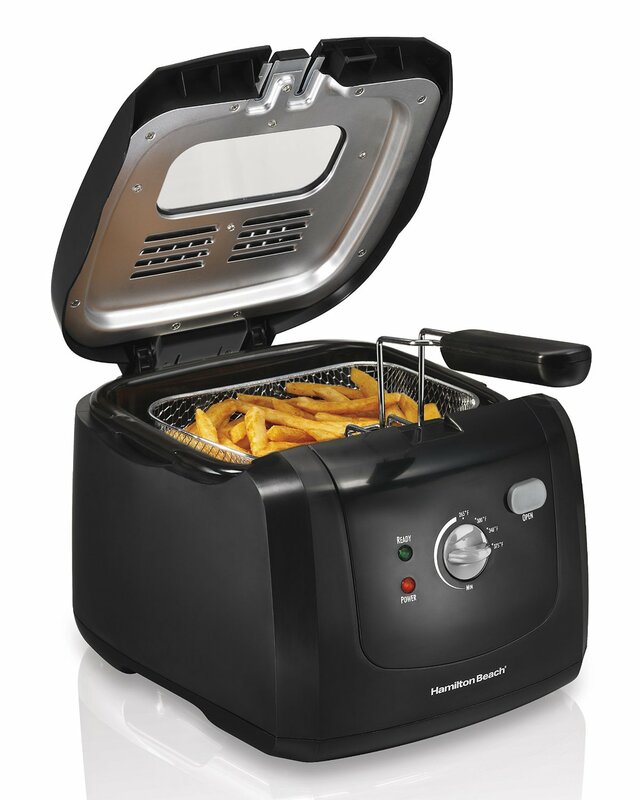 Before buying a deep fryer, however, many people wonder whether it’s safe to use. Several factors determine the safety of a deep fryer and the quality of the appliance is one of the most important features. Investing in a product that’s a bit more expensive and well made will pay off in terms of safety and longevity. There are several other things you can do to make deep frying safe. Here are some of the best suggestions. What’s one of the most important things you’ll have to purchase for safe and easy deep frying? That’s right, you need to buy the right oil. There are dozens of options and some of them are a lot better than others. The oil’s smoke point is the first and the most important feature to examine before making a purchase. The smoke point is the temperature at which the oil will begin to smoke and eventually burn. The higher the smoke point is, the safer the deep frying is going to be. Some of the oil varieties characterized by a high smoke point include sunflower, rapeseed and vegetable oil. Olive oil is a very bad idea because it has a very low smoke point of about 350 degrees Fahrenheit (150 degrees Celsius). Shortening and lard are also great picks because they have a high smoke point and they’ll result in really crispy treats. One final thing to remember is that the deep fryer should be filled with oil to approximately the one third mark. If the oil is smoking or if you feel a burnt scent in the air, replace from placing food in the fryer. Replace the oil when it cools down and start from scratch. When buying a deep fryer, it’s imperative to choose a product that features all of the accessories essential for guaranteeing the safety of the process. A deep fry thermometer, for example, is an essential for safe frying. It’s a good idea to keep an eye on the oil’s temperature. There are certain requirements based on recipe and the thermometer will also enable you to keep the oil at a temperature below the smoke point. Alternatively, you can use a wooden spoon to test the temperature. If the oil is hot enough, it will start bubbling around the spoon when you put its tip in the liquid. That tip is suitable for the occasional deep frying. If you’re serious about frying at home, you should certainly invest in a thermometer. You may also want to look for a deep fryer that comes with tongs on top of the frying basket. These are required for your own safety and they reduce the risk of having hot oil splattering on your unprotected skin. Make sure the food is dry before placing it in the fryer: what happens when water is added to hot oil? A dangerous mess. Water causes the oil to jump and it can contribute to a serious accident. Use paper towels to dry all of the ingredients you’ve just washed before placing them in the frying basket. Be careful when placing food in the oil: don’t just dump it all in the hot liquid. Add food gradually to the basket to prevent a potential overflowing. Dropping all of the food while standing above the pan is a big no-no and it can get you seriously injured. Be careful and take it slow. Always keep your eye on the fryer: it’s not a good idea to do something else in the kitchen while food is cooking in the deep fryer. Keep your eye on it at all times. Turn the heat off immediately after you’re done: don’t postpone the process. Also, refrain from moving the fryer or attempting to dump the oil before it has cooled down completely. That’s it! Deep frying is far from dangerous, if you’re cautious and careful. Do a few test runs after buying the deep fryer to get the hang of it. Start with smaller quantities of food and once you master the basics, you can move on to something a bit more exciting.